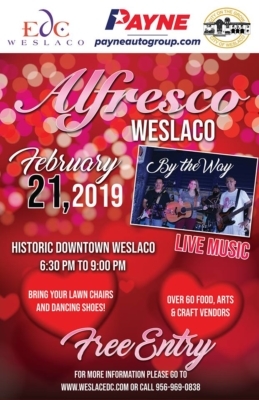 Weslaco Economic Development and The City of Weslaco host an evening of shopping and live music with Alfresco Weslaco. 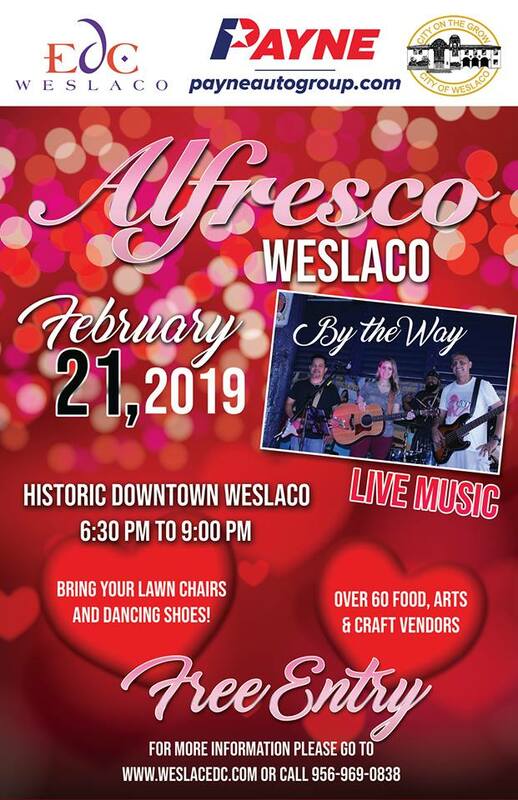 Live music by By the Way, kicks off at 6:30 p.m. in Downtown Weslaco. Downtown Weslaco businesses will be open late for all of your shopping needs. Multiple vendors will also be lining up Texas Blvd.